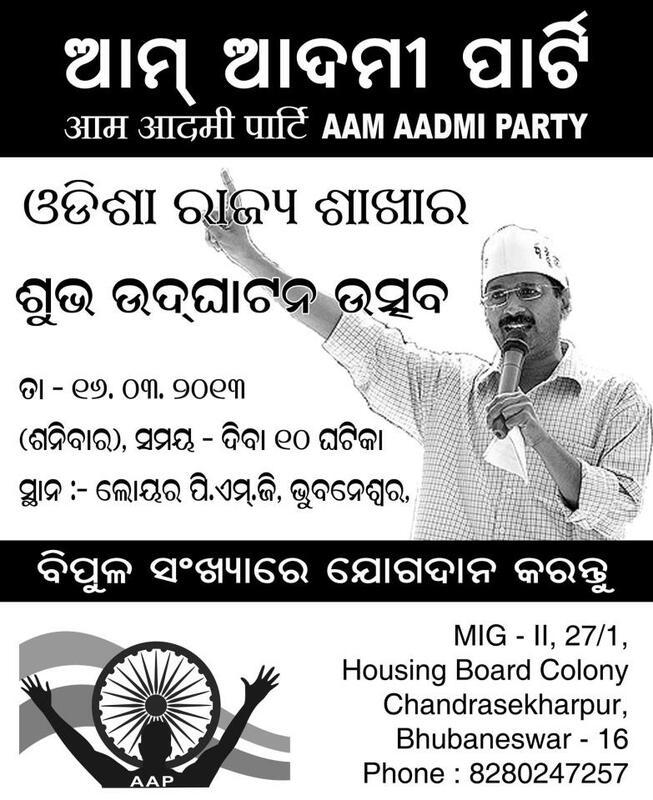 Launch of Aam Aadmi Party – Odisha unit will be held on 16th & 17th March, 2013. The state level convention and launch of Aam Aadmi Party – Odisha unit will be held on 16th & 17th March, 2013. This will be first state level public meeting by Aam Aadmi Party, Odisha, where party’s national executive members like Yogendra Yadav, Prof. Anand Kumar will be present on the occasion. Recently party had organized its state level preparatory meeting where 25 districts out of 30 have participated and shared the progress & development done in respective areas. Aam Aadmi Party was formed on 26th November, 2012 at Constitution club in the presence of 300 founder members which adopted the party constitution. There was a meeting of over 30000 people on the next day at Parliament street where the party was formally launched. There are five levels present in party structure – National, State, District, Block & Primary. The party has some unique characteristics such as 50% party posts to be held by women, no two persons from same family to be given party positions or tickets, all donations and expenses to be published online and provision of internal lokpals for grievance redressal. 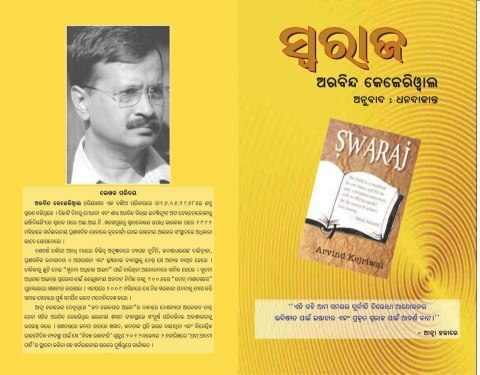 Cover page of Arvind Kejriwal’s book SWARAJ in Odiya. To be published on the 16th March at the AAP launch event in Bhubaneswar at Lower PMG. This is a potential game changer for future of Odisha and the country. Excellent news! Its heartning to see that people are coming out in numbers to support for the right cause, not just in Delhi but in other states as well. This is the right way to finish corruption and corrupted ministers,jai hind.